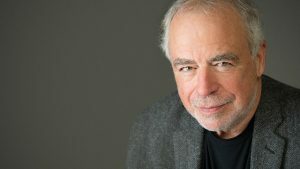 Novelist Richard Russo and a panel of authors-turned-screenwriters discuss the creative challenges involved in writing for the big and small screens. Richard Russo—whose novels Nobody’s Fool and Empire Falls were adapted for the screen—is joined by three fiction writers who have straddled both the book and film worlds to discuss the process of adapting one’s own works as well as collaborating on original screenplays. Ron Currie is a screenwriter, novelist, and author of NYPL Young Lions Fiction Award-winning God Is Dead; Rebecca Dinerstein, whose adaptation of her own novel The Sunlit Night premiered at the 2919 Sundance Film Festival; and Emily Schultz is the best-selling author of The Blondes, which is currently in development at AMC, and for which she is the Executive Producer. Co-presented by The Author’s Guild.